The uniforms originated in east lansing, MI somewhere in the mid - late nineties. 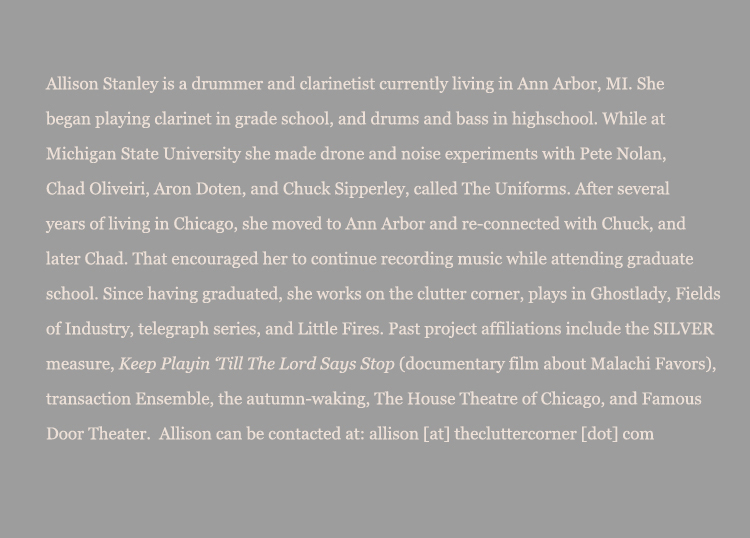 the original people in the band were Chad Oliveiri (guitar, gadgets), Aron Doten (guitar), Pete Nolan (guitar, drums, stuff) and Allison Stanley (drums, clarinet, stuff). Chuck Sipperley played with them on occasion. 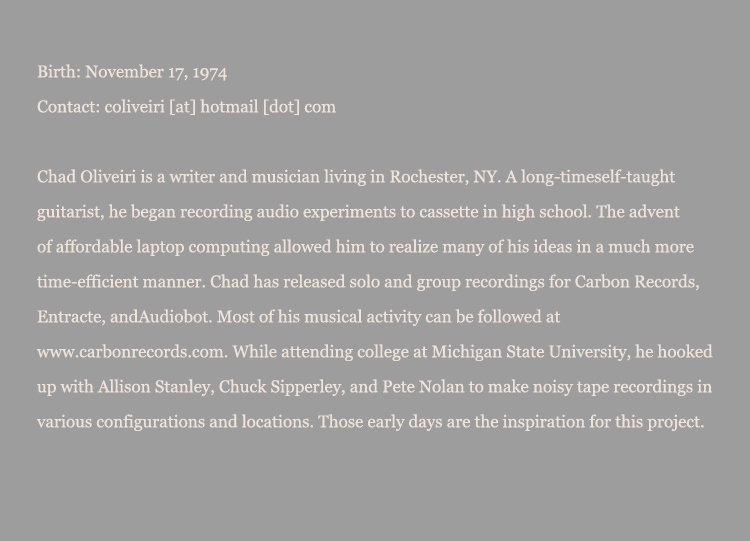 Chad and Allison are creating compositions together again and simply kept the old name. because they no longer live in the same region, the basis is that of an ftp project, facilitated by the fancy computer internet.